One after one, Micromax is coming out with nice Android smartphones with great features at a very affordable price. The next in the line is the Micromax Canvas HD A116. Micromax Canvas HD A116 is a quad-core smartphone having Android 4.1 Jelly Bean OS and 1.2 GHz processor. As the name suggests, it is easy to guess that it is having a nice HD display as well. The full features and specs of the Micromax Canvas HD A116 are given below. 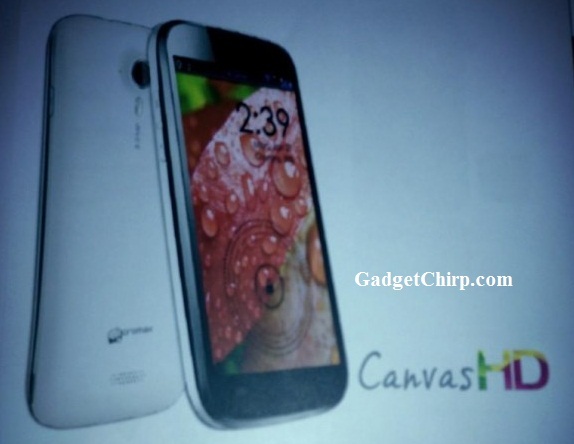 The expected price of the Micromax Canvas HD A116 is below Rs. 15,000 and it will be available in the stores from the first of February. Thanks for the review of Micromax Canvas HD A116. Users now in India are trusting Micromax, which is offering best phones at low cost in India. click here to check the complete information about exam results of various states.